Hope’s images are filled with soft edges, emotional detail, and lush imagery. 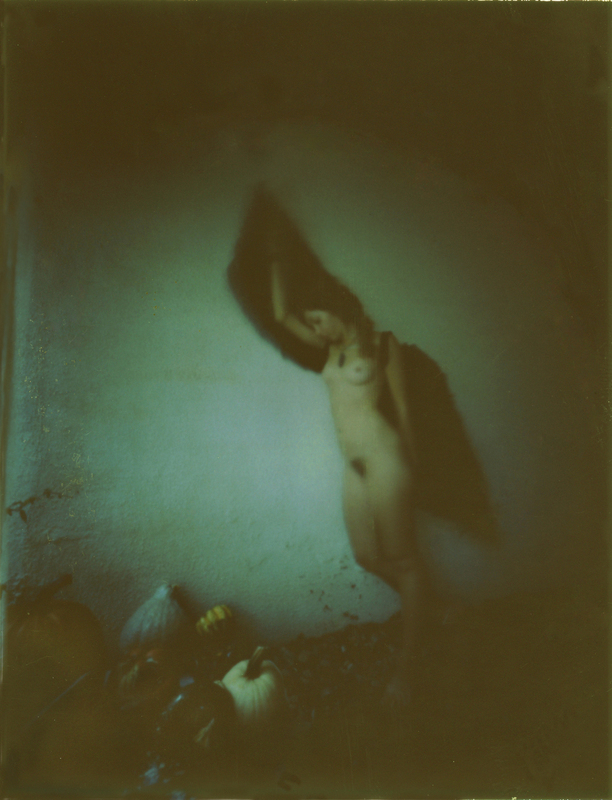 Her pinhole images evoke an essence of impermanence, of myth and mystery, while highlighting the bond between human form and natural form. Hope’s work is at its best in the simple connections she makes between the landscape and the feminine form. Reveal is a portfolio of my journey into, self-discovery. I concentrate on the structure of the photograph integrating the figure into the environment, concentrating on repetitive shapes and an evocative mood. My work is centered on the female form. I am in search of the quiet spirit of the soul, the silently powerful, graceful woman. I believe isolation often comes with one’s independence, I believe that strength can be quiet; I believe that fear is just thought and that contentment is from within. Pinhole photography has been a lesson for me in patience, revealing its wondrous eccentricities along the way. It has revealed the vulnerable me, revealed the complexities of the most archaic form of picture taking. Never knowing exactly what I will get in the negative the serendipitous light leak in just the right place, the curved distortion that is perfect with the figure in the scene; it has taught me to slow down, set up make decisions with each exposure. 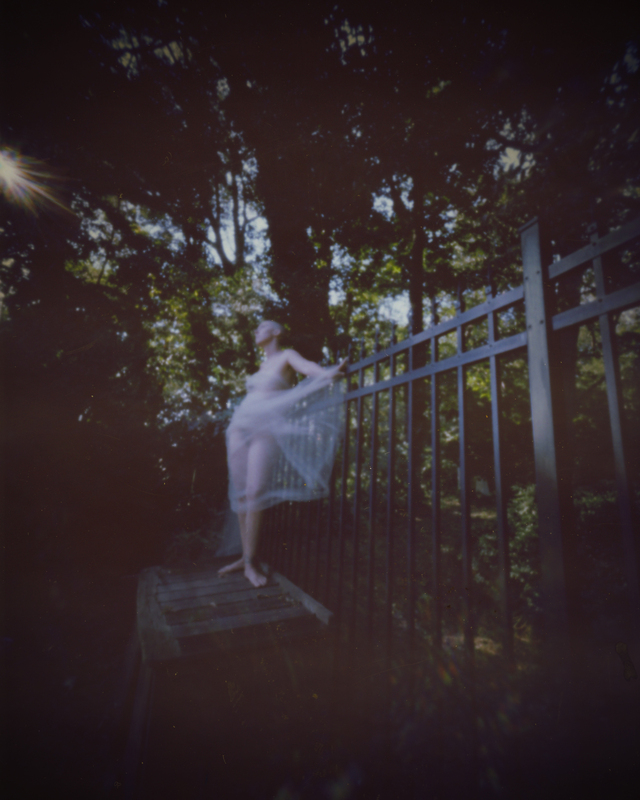 This slow process of shooting only 15 cameras during a shoot has taught me the craft of pinhole photography. These handmade cameras made out of discarded tins, for me, create nothing less than magic. Hope Kahn is a graduate of Rowan University with a BA in Special Education and Deaf Education. She left her job as a teacher in 1986 to concentrate on photography. Hope’s photographic work focuses on the female form implementing traditional techniques such as encaustic painting. Her recent work is in analog, photographing with hand-made pinhole cameras as well as the Holga cameras. Hope gathers her thoughts, curiosities, dramas, wounds and dreams portraying them in her imagery. Her work can be found in many public and private collections including Glaxo Smith Kline, Kerner & Kerner, The Rittenhouse Hotel, Sterling Drug Company, Price Waterhouse, Hoyle Morris &Kerr Attorneys and Numerous Private Collections. She has been published National Aperture Magazine, Philadelphia Magazine, The Philadelphia Inquirer, Lorel Marketing, Pace Advertising and a book cover with Russoli Books NYC. To see more of Hope’s work, please log onto her website.